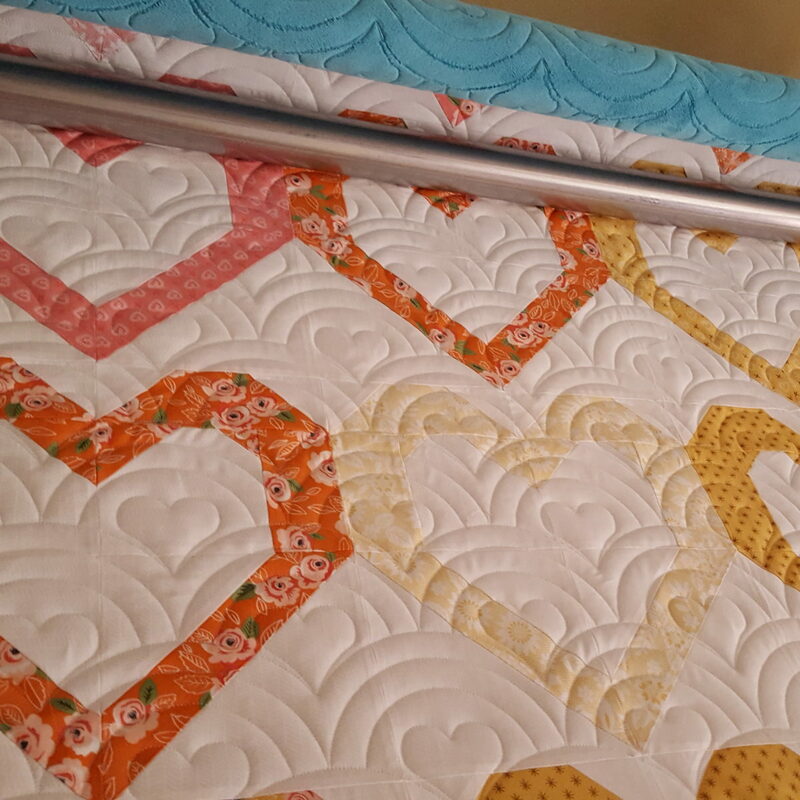 I had a lot of fun quilting this big Open Heart quilt for Sara! 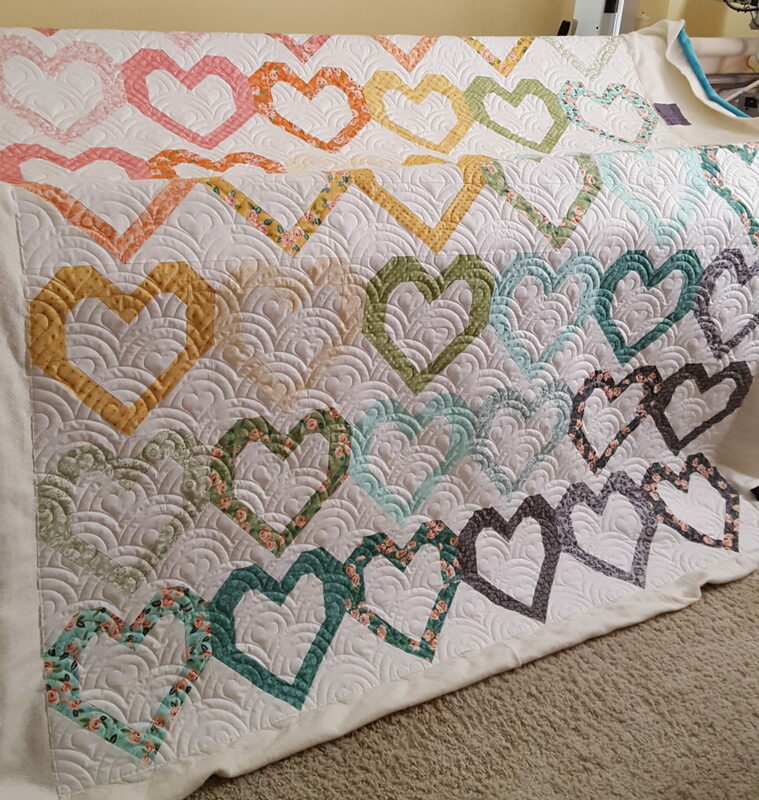 We used a quilting design called Rainbow Hearts and it turned out so cute! Sara loves to use minky on the back of her quilts- you can see the great teal color peeking out at the right edge!